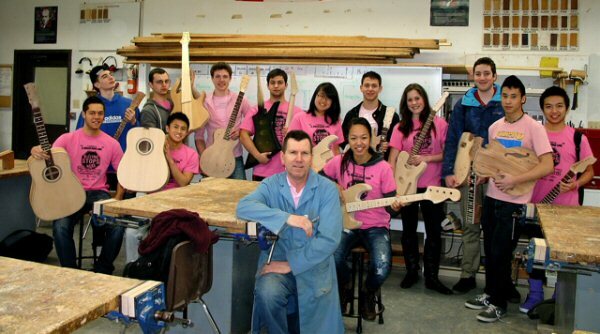 Mike Kinal has been building fine guitars and basses for over 45 years in his hometown of Vancouver, British Columbia. 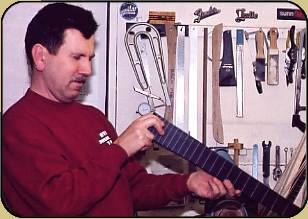 A trained cabinetmaker and skilled craftsman, Mike has successfully operated a repair and refinishing shop, doing hundreds of refretting jobs, refinishing instruments by other makers, and finally building a few instruments to custom order. Through this time he has also taught woodwork and industrial education at the high school level. 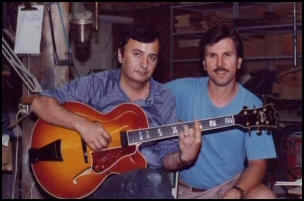 In 1972, Mike had the privilege of apprenticing with Atilla Balough, the originator of the Odyssey guitar. 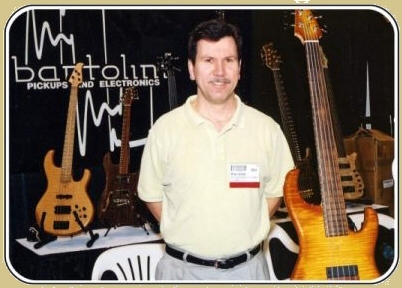 He learned a great deal about guitar design and sound, and he was able to perfect a wood finish that has become the hallmark of all Kinal handmade basses, archtop guitars, and solid body electrics. 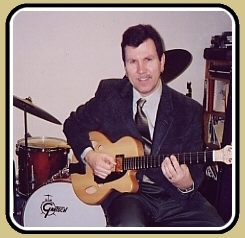 Mike’s early instruments followed in the footsteps of the great instruments by Fender, Gibson, and Alembic. Soon, his own innovations and refinements started to appear in his work. Listening carefully through the years to his customers' wants and needs has helped him to develop the superb instruments he now creates, in his own style, and with his own unique aesthetic touches, such as delicate inlays of hardwood, bone, ivory, and mother-of-pearl. Mike is a true expert when it comes to working with exotic hardwoods. 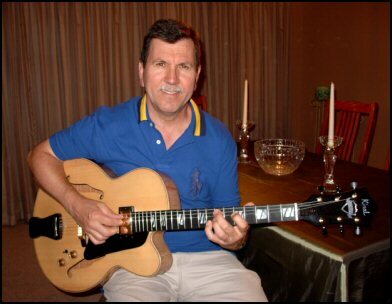 He personally selects beautiful woods from importers around the world, material that is rare and well suited to musical instrument construction. Mike works with cocobolo, bubinga, wenge, purpleheart, kata, pau ferro, Macassar ebony, and Brazilian rosewood. 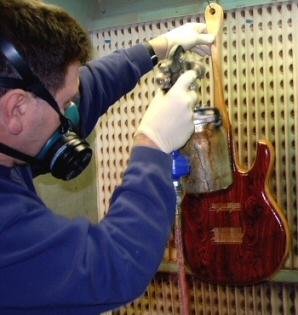 Mike blends these tropical woods with the more indigenous woods from North America, such as Eastern flame maple, curly and figured maple, sitka spruce, alder, and swamp ash. Kinal instruments are created by hand, every step of the way. Each piece of wood is carefully chosen by Mike, each cut is his own, and every scrap of sandpaper, nut, bolt, and screw reflect Mike's dedication to quality. Mike, along with his wife and two loyal employees have maintained this high level of craftsmanship, honing and perfecting instruments in the tradition of old-world excellence. Kinal products, instruments, and services are now gaining the respect and admiration of musicians and builders around the world.